During the transition process for adjusting to dentures, there are a few functions that dentures will impact. The first is chewing. Immediately following the denture process, patients will have to eat soft foods for a few days. The second is speech. Once an individual receives dentures, he or she will have to adjust to speaking with dentures. There will also most likely be a period of time in which the patient has to go without teeth before receiving the new dentures. 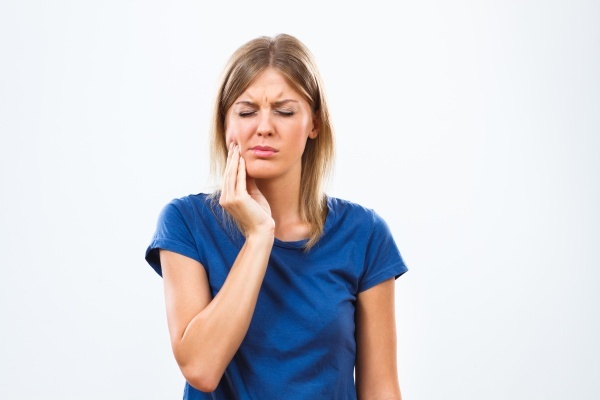 Due to these impacts on the individual, we offer patients immediate dentures. These dentures only take one day for placement and are more efficient than natural dentures. However, immediate dentures may not be for everyone. While some teeth may fall out naturally with age, there are cases in which we need to remove the rest of the teeth before placing full dentures. In fact, many people find it easier to replace all of their teeth instead of having partial dentures. However, that can mean that people will need to make multiple appointments and go several days to even a week without teeth. By investing in immediate dentures, patients can receive the dentures after removing the teeth to avoid a variety of inconveniences. 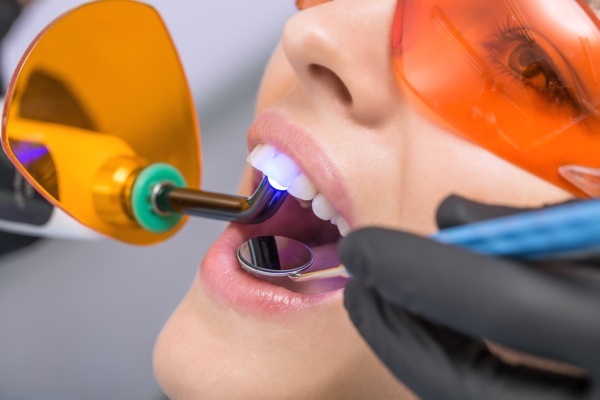 The patient will not have to worry as we will ensure that the patient has the proper sedation and does not feel anything while we remove the remaining teeth in the mouth. Once we complete this step, we will insert the dentures. These dentures will help to protect the tissues of the gums as they heal. 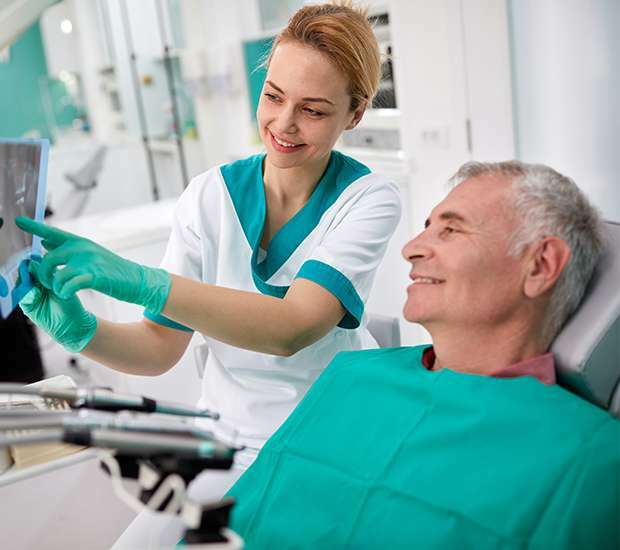 Patients will not have to spend several days without teeth while waiting for a dental lab to construct the dentures and can begin the adjustment process right away. One benefit of immediate dentures is that patients only have to learn to speak with one set of dentures. With the traditional dentures process, patients will learn to speak with temporary dentures in place for several days, only to repeat the process when the new dentures are complete. Due to this, many people struggle to adapt and spend more time with speech difficulties than only needing to adapt to one pair of dentures. With immediate dentures, patients will be able to continue their daily routine with minimal changes. Another problem many face with traditional dentures is learning to chew with the new set of teeth. Fortunately, immediate dentures help the patient do this faster than regular dentures and prevent them from having to repeat the process. The length of the immediate dentures procedure will vary on the patient's teeth, structure of the mouth. There are three phases, preliminary back teeth extraction (if necessary), the fabrication phase, and insertion phase. Altogether, this process can take four to five appointments. In many cases though, we will be able to place the immediate dentures in the same appointment we pull the teeth. Will there be follow up appointments? Yes. We will need to ensure the dentures fit properly and make adjustments as necessary. We will also need to re-fit the dentures as the jaw recedes with age. 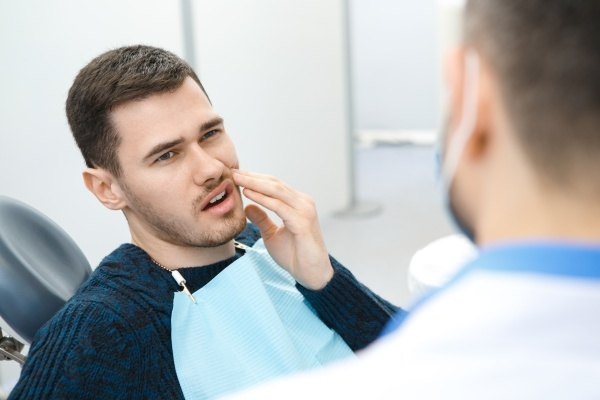 However, these follow up appointments are crucial to ensure the patient remains healthy and does not have any other issues with his or her dentures. How long will it take for the jawbone to recede? Through the natural process of resorption, the body leaches calcium from the jawbone to distribute to the rest of the body once there are no more teeth to stimulate the bone. While this process does not happen overnight, it can take about six months for people to really notice the changes. Thus, scheduling appointments at our office will help to ensure the dentures are the correct fit. For more information, give us a call today. Does the jawbone receding cause significant changes to my face? Yes. The process of resorption, the jawbone receding, can lead to sagging cheeks and other facial changes that make the patient look older. However, we can help with various forms of dentures that fill out the face to build a full appearance. Q. How long will the dentures process take? Q. Will I need to make follow-up appointments? Q. Will the lack of teeth change the appearance of my face? CAD/CAM stands for computer-aided design and computer- aided manufacturing dental software that creates a detailed image of teeth to enhance the process for customizing various dental restorations. Customized dentures are dentures specifically designed to fit a patient’s mouth instead of having the patient wear generic dentures that do not fit properly. Denture digital manufacturing involves using digital scanning technology to develop and manufacture personalized dentures for an individual patient. The final denture prostheses is the final set of dentures the professionals place during the procedure. These dentures will usually be an exact fit to the patient’s jaw.